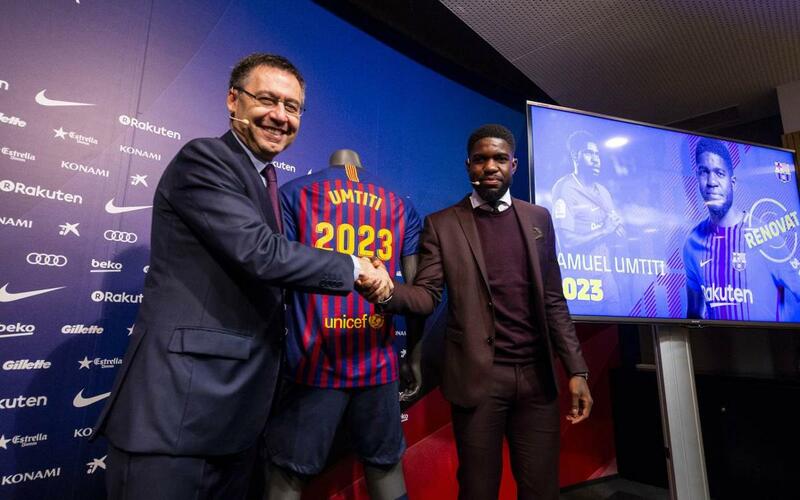 FC Barcelona defender Samuel Umtiti signed a five-year contract extension with FC Barcelona on Monday, the club announced. His new buyout clause has been set at €500m. The 24-year-old Frenchman made the signing official at Camp Nou on Monday morning, at a ceremony and press conference attended by Club President Josep Maria Bartomeu and a gaggle of local and international media. Umtiti also spoke about the relationships he has built with his teammates.